One of the biggest pains for a growing business is that you simply run out of space for expansion. 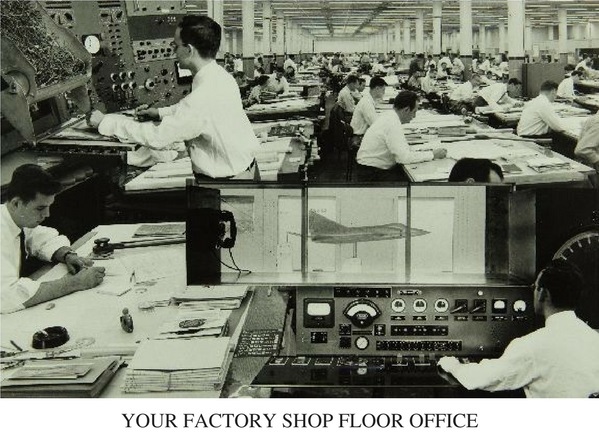 We face this a lot at Evoma, where SMEs and startups are constantly adding more flexible space as they grow. But if you’re located in your own private office space, then you have no choice but to relocate to a bigger site or at least add a new location. If you haven’t planned for this move, then this would be a good time to chart out a site selection plan that minimizes the disruption and makes use of potential opportunities for further growth arsing out of the relocation. In this post, you’ll find site selection tips to relocate your corporate headquarters to a better location befitting your company, brand and leadership. This is the broad outline of the site location process you need to follow. 1. Compile your space and location requirements. This is not just a square foot figure and the name of a city or area. This is a compilation of your real estate needs to match growth over the long-term, because you don’t want to relocate again after a year or two. It has to serve your business needs for at least 10 years. 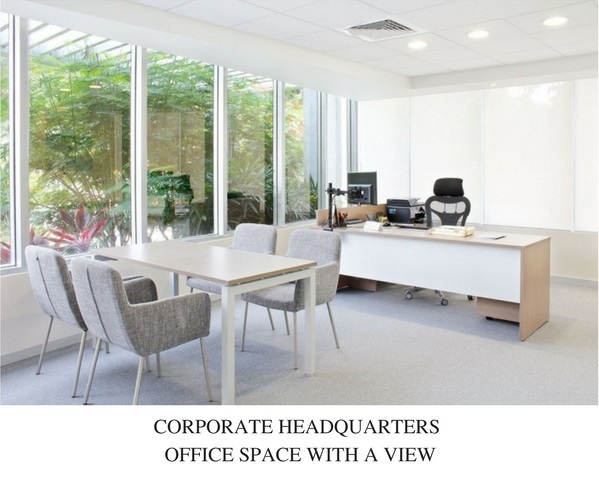 For example, we provide corporate office space for rent for Bangalore headquarters operations at the Whitefield Evoma Business Centers on Borewell Road and in EPIP. Some of this corporate office space is taken up by SMEs who already have their factories and warehousing locations in the EPIP Zone. They typically take up office space for the leadership, administrative operations, and their back-end operations. This means relocating the CEO and top management, legal, accounting, IT and other such functions. – Give your leadership and management some perks and an office environment befitting their status. So before you move everything to a bigger site, consider relocating your corporate headquarters to a more appropriate location and continue the rest of the operations without any disruption. 2. Investment and job creation associated with the project. Come up with a detailed assessment of the capital investment you need to make for each component of the project, the jobs to be relocated immediately, and then the jobs created at the new location over a period of 10 years to match business growth. This is important because you need to provide these details as a plan to any government agency or private site selection consulting firm that you contact for assistance in this project. If the investment and jobs being created are significant enough to be of value to the city, state and country in question, you will be provided incentives in many different forms. This can be tax reductions, tax credits, free land for the project, assistance with site evaluation and environmental clearances, recruitment and hiring, training, etc. Here’s a sample site selection proposal template that you can follow to prepare your own project report. It’s from Hyperloop Technologies, Inc., which created this proposal in order to secure incentives from the economic development agency for the state of Nevada in the United States. 3. Set a timeline for relocation and operational status. You can spend as much time as you want trying to identify sites and get a good deal. But in terms of your business needs, there has to be a finite deadline. Set a date, and make sure the space provider is able to hand over the site to you on or before that date. Again, set a date for completing the relocation process and getting the new site operational. One of the selection criteria should be whether the location and provider are able to do this, and promise to deliver as scheduled. 4. Identify and shortlist different locations. This is the hardest part of the process, since you can’t be expected to put your work aside to go and hunt for suitable sites for relocating your corporate headquarters. The answer is to hire a real estate company to do it for you. In this case, this means a site location consulting firm such as McCallum Sweeney (MSC) or Jones Lang LaSalle (JLL). They’ll take you through a multi-phase process that includes creating the aforementioned proposal, identifying suitable sites based on your requirements, and submitting the proposal to the locations concerned to negotiate for incentives and site location assistance. If this is not possible, simply visit the development agency website of shortlisted locations. They typically have GIS tools that site selectors can use to look at available sites, and the demographics, talent, suppliers, utilities, site readiness, roads, etc. That should give you a fair idea of which location will be ideal for your business, pending selection of the exact site. 5. Economic development incentives for corporate headquarters relocation. Once you have identified and shortlisted locations, reach out to the economic development units of each of these locations. Request proposals from them seeking suitable sites that are available, and their response to all the site location assistance that you need. The end result will be something like this $4 million proposal that The Hertz Corporation got from Lee County, Florida for relocating their corporate headquarters with a capital investment of $60 million. You will have selected a location, provided your capital investment and job creation plans, and in return secured a proposal of incentives and assistance that will help ensure a smooth and timely relocation of your corporate headquarters.